Info: Created on 19th May 2018 . Last edited on 30th June 2018. A classical option with a new point of view (the scrape). The LC is different to make more elegant the pairs of equals glyphs like FF, TT, CC, OO, EE... IBYP because I'm kerning a lot of them. 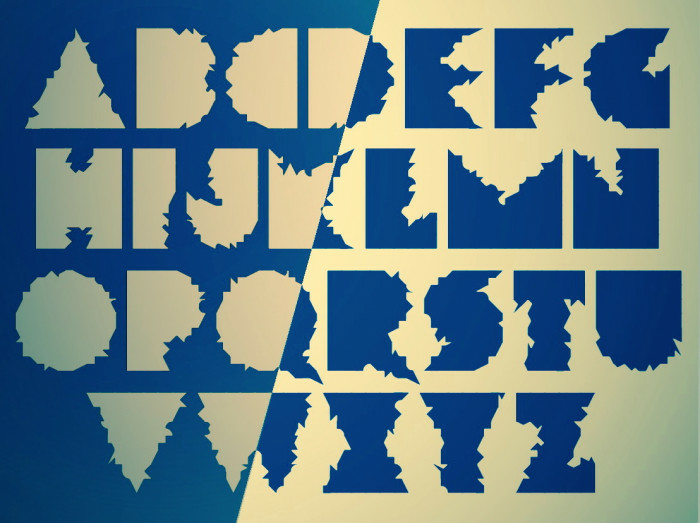 A refreshing approach to traditional letter shapes. I love the contrast between the frayed and the straight glyph edges. @meek: You have made me blush once more with the words you have said about this font. Thanks again. Congratulations! FontStruct Staff have deemed your FontStruction worthy of special mention. “zcrapedium eYe/FS” is now a Top Pick. Congratulations on the TP. I like the fuzzy look of these solid chunky glyphs. My favourite is the Â, the Christmas tree. @meek: Thank you very much, jefe, this was my little ugly duckling. @nightpegasus: Thanks for your encouraging words.